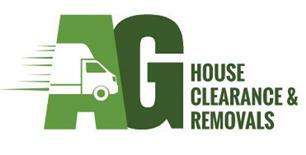 AG House Clearance and Removals have ten years experience in home clearance and removals. We have a specialist waste removal team, who are available seven days a week. We clear full properties leaving them ready for reoccupation or selling. Our dedicated team will recycle unwanted items and professionally waste manage unwanted goods and rubbish. The team consist of 3 large vans and five members working in the Hampshire, Surrey, Berkshire and London areas. We also regularly carry out work for Rushmoor Borough Council. We pay cash for antique and quality furniture as well as providing a delivery service for furniture. Our dedicated team also carry out all removals around the UK. Landlords, probate and deceased properties are our specialty with our sympathetic and professional approach always thinking of the client in these upsetting times. Garages pubs clubs and offices also cleared. For a no fuss no job too big attitude we pride ourselves on a quick response hard working ethic. Aldershot, Camberley, Fleet, Farnham, Guildford, Hampshire, Woking, Basingstoke.